Yesterday's tragedy at the Boston Massacre has been felt the world over. Support and condolences have poured in from America's friends and allies abroad. Yesterday, I offered my uplifting response in an open memo on PolicyMic. Twitter is on fire with support for Boston, with #BostonMarathon trending worldwide in yesterday's aftermath. Here are the statements and reactions of various world leaders and international organizations. UN Secretary General, Ban-Ki Moon: "I condemn this senseless violence, which is all the more appalling for taking place at an event renowned for bringing people together from around the world in a spirit of sportsmanship and harmony. I would like to express my deepest condolences to the families of the victims, and to wish those wounded a speedy recovery. As more details emerge I am sure we will return to this with a more formal statement. But for now I just wanted to say that my thoughts are with everyone in Boston." 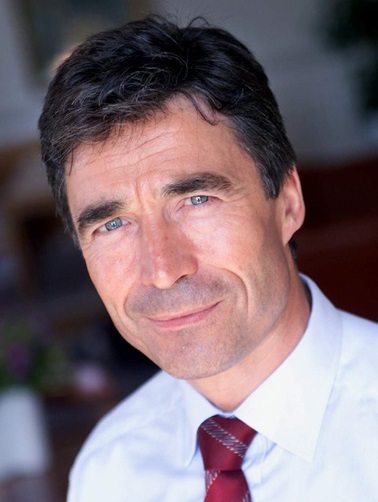 NATO Secretary General, Anders Fogh-Rasmussen: "I am deeply shocked by the explosions at the Boston marathon. I express my heartfelt condolences to the families and loved ones of those who were killed, and I wish a full recovery to those who were injured. My thoughts are with the people of Boston and all of the United States." British Prime Minister, David Cameron: "The scenes from Boston are shocking and horrific - my thoughts are with all those who have been affected." 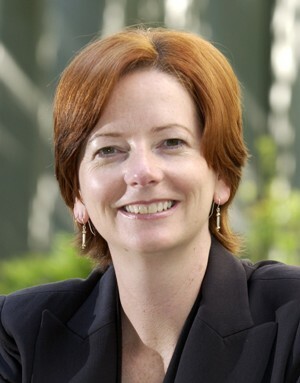 Australian Prime Minister, Julia Gillard: "Australians have awoken this morning to shocking and tragic scenes at the Boston Marathon. Our condolences go to the families of those killed and our thoughts are with those who have been injured. It will be some time before we know the full extent of what has occurred but these explosions have cast a long shadow over one of the world’s great sporting events." Russian President, Vladimir Putin, via a Kremlin statement: "Vladimir Putin strongly condemned this barbaric crime and expressed his belief that the fight against terrorism requires the coordination of the global community’s efforts. The President of Russia stressed that the Russian Federation will be ready, if necessary, to assist in the US authorities’ investigation." Israeli Prime Minister, Benjamin Netanyahu: "A day of joy became a day of terror, I send my condolences to President Barack Obama, the American people and the bereaved families. Today, like everyday, Israel stands shoulder to shoulder with the American people." American President, Barack Obama, this afternoon: "We continue to mobilize and deploy all appropriate law enforcement resources to protect our citizens, and to investigate and to respond to this attack. Obviously our first thoughts this morning are with the victims, their families, and the city of Boston. We know that two explosions gravely wounded dozens of Americans, and took the lives of others, including a 8-year-old boy. This was a heinous and cowardly act. And given what we now know about what took place, the FBI is investigating it as an act of terrorism. Any time bombs are used to target innocent civilians it is an act of terror. What we don’t yet know, however, is who carried out this attack, or why; whether it was planned and executed by a terrorist organization, foreign or domestic, or was the act of a malevolent individual." Even comedian Patton Oswald has garnered media attention for his response. On Facebook he posted an eloquent response, which has been shared nearly 250,000 times. Here is an excerpt: "I remember, when 9/11 went down, my reaction was, 'Well, I've had it with humanity.' But I was wrong. I don't know what's going to be revealed to be behind all of this mayhem. One human insect or a poisonous mass of broken sociopaths. But here's what I DO know. If it's one person or a HUNDRED people, that number is not even a fraction of a fraction of a fraction of a percent of the population on this planet. You watch the videos of the carnage and there are people running TOWARDS the destruction to help out." As far as who is responsible for these cowardly attacks, no person(s) or group have yet to come forward. However, one of America's typical enemies have issued an official statement regarding the bombing, but they have denied any involvement. Tehrik-i-Taliban Pakistan, via spokesman Ehsanullah Ehsan: "We believe in attacking US and its allies but we are not involved in this attack. We have no connection to this bombing but we will continue to target them wherever possible." "They're very concerned about being able to get troops who can deal with nuclear and chemical weapons where they need them quickly. And the fact [is] that over the past ten or twelve years, they haven't really invested in that capability so much. They've invested in counterinsurgency, ground vehicles, IED threats, but they haven't really spent a lot of time and money modernizing their nuclear and chemical troops." "The Soviet Union's most deadly forces - ICBMs, tank armies - they were actually relatively easy to find, but they were very hard to kill. Intelligence was important, don't get me wrong, but intelligence was overshadowed by the need for raw, shear fire power. Today the situation is reversed. We're now in an age in which our primary adversary is easy to kill, he's just very hard to find." Today I wrote an article for PolicyMic on the topic of shooting rampages in schools verses stabbing rampages. It was met with highly divisive opinions from both sides, hailed as an attempt at satire or something blatantly obvious. Yes, my matter-of-fact outline of why knives do not stack up against a gun in terms of an effective weapon is pseudo-Colbert, but my intent with writing the article was well intended. This is not an apology, nor is it back pedaling. It is just an explanation of my perspective as I see the world. Please read the article on PolicyMic and check out some of the comments, so that the context of my response below can be properly framed. Well obviously knives are not as deadly as guns. This is not supposed to be some major revelation. A gun is not just like any other weapon - firearms are something extraordinary. The Founding Fathers recognized this, hell, they gave firearms its own amendment - right after speech, religion, and press. So when the media makes comparisons in terms of mass rampages, sure common features can be analyzed. But to jump and say rampages with knives are just as bad as rampages with a firearm; and therefore common sense measures in regards to gun control, like keeping guns away from the mentally unstable and to require universal background checks, are useless because knife attacks would still happen in lieu of mass shootings, well that is just BS. And this is a common claim from firearms advocates and detractors of gun control. I have made numerous posts regarding gun control - on Facebook and here on my blog. I have done my research. But I've never really given insight as to my true feelings in regards to the issue of gun control. There's ignorance on both the right and the left, liberals and conservatives alike. I don't think that average Joe Public with no prior experience with firearms should be able to buy a Mk 48 LMG with no questions asked, just by virtue of being American. On the same note, a high capacity magazine is not a one time use item, nor is an "under-barrel rocket launcher" a real thing. I've consistently applied disclaimers to my gun control related posts, but they go ignored - perhaps in favor of vitriolic rhetoric, or a simple reaction from the headline. It is safe to say that so far my ventures into the gun control debate are experimental and sociological in scope. I have approached it from a precarious perspective, but not from the position of policy prescription. Ultimately would I like the world and America to be a place where no one has the need to use a firearm against a fellow human being? Yes. Is that anywhere near the reality that we live in? No. Do statistics show that the proliferation of gun ownership contribute to a drop in violent crime? Yes. But do I think that the NRA pressures and holds hostage those in public office who want to try and implement positive reforms? Absolutely. Simply claiming to enforce the laws on the books rings a bit hollow, because the apparatuses to enforce such laws are either ineffective or simply lack a confirmed director. (Yes, I am looking at you ATF). Access to mental health resources needs to be expanded. The underpinning issues of why people feel compelled to commit armed robbery or harm another human being have to be addressed as a matter of public health. Yes, this does mean the war on drugs does need to be reexamined with intense scrutiny. But to then say these types of reforms and new approaches should not also be applied or investigated when it comes to the issue of gun control is disingenuous. It is true that monocausal answers always fall because they fail to incorporate numerous important factors and variables. Likewise, excluding a major part of the issue also dooms progress when it comes to reducing gun violence and the proliferation of firearms into the arms of criminals. What we are doing now is not working. Something has to be done.